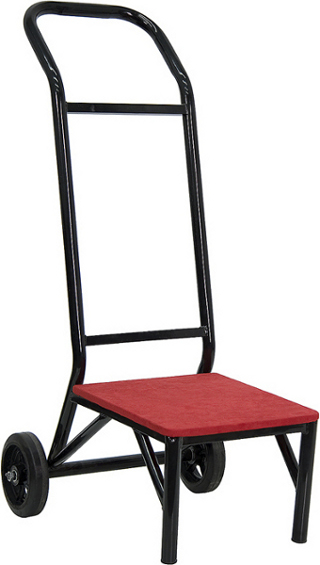 This dolly is designed to pick up stacks of stacking banquet chairs, move it, and set it down. Roll dolly underneath chair stack. Place foot on foot bar (the bar connecting the wheels) this is to keep it from moving while you lift the chairs. Pull Handle Back until the dolly picks up the chairs. Roll the stack to the location you would like to move it to. Set the front of the dolly down slowly. Slide the cart back out from underneath the chairs.